Cytometry is the study of computing the characters of cells. Aspects that can be calculated by using cytometer include cell count, cell shape and structure, cell size, cell cycle phase, DNA content etc. Image-based cytometry is the most traditional form of cytometry. Optical microscopy is used by statically imaging a large number of cells to operate image cytometers. Before analysis, cells are usually stained to increase contrast or to spot certain molecules by tagging these with fluorochromes (fluorescent chemical compound that can re-emit light on light excitation). Image-based cytometer requirement is anticipated to boost owing to technological advancements and the growing utilization of image-based flow cytometers in research activities. 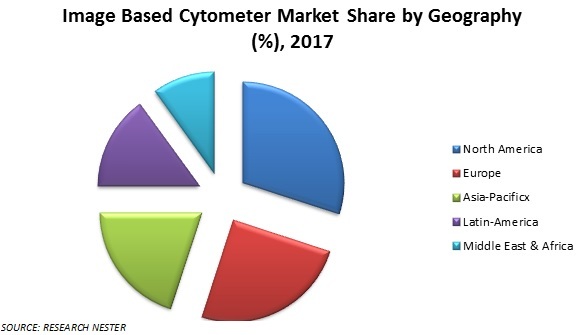 The image based cytometer market is thus estimated to expand at a robust CAGR over the forecast period. North America is estimated to remain the ruling region owing to eminent advancements in research and development field along with elevated technological developments through the years. While Asia Pacific is expected to emerge as a fastest growing region due to growing expenditure by the government on R&D activities as well as rising technological advancements in the developed and developing countries of the region. 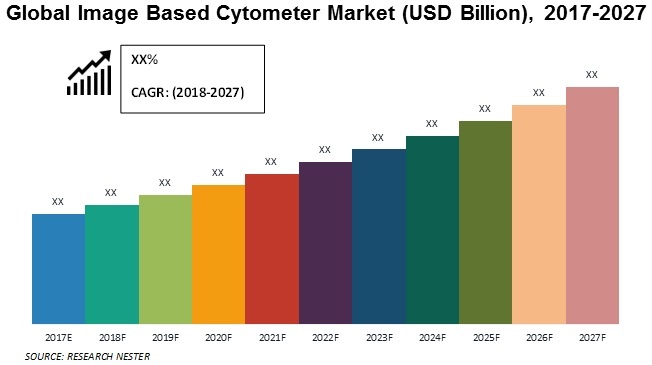 These factors are expected to drive the image-based cytometer market of the region. Image-based cytometer requirement is estimated to increase owing to technological advancements, development of intuitive software, increasing use of image-based cytometer in clinical trials and the growing utilization of image-based flow cytometers in research activities. Rapid ‘user‐friendly’ systems currently under development may increase the market growth of image-based cytometric systems. High throughput screening (high sample passage from input to output) is available in almost all the recent technologies introduced because of the rising trend towards precision medicine where each clinical trial is towards a particular cell. Thus cell analyzer is also developed that provide the researcher with multifunctional results of thousands of cells. The main problem for the researchers is to access such technology which has cost constraints associated to buying antibodies.